The choices are numerous. 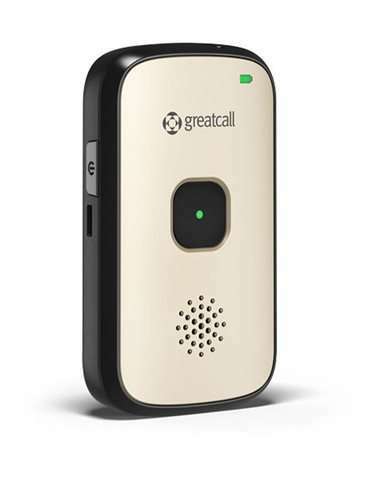 Medical alert systems have advanced far beyond the basic pendants that enable a loved one to summon assistance. Today's range of products includes wristbands, watches and cellphones equipped with emergency buttons or apps. Their capabilities have also expanded to include GPS tracking and fall detection, all of which help users live more independently and keep them safe when they venture outside. That's broadened their appeal from just homebound senior citizens to younger people with physical disabilities and others worried about security. The whole category started with the Philips Lifeline pendant in 1974. It helped seniors living alone feel safe and gave their loved ones peace of mind. But it only worked in and around the home. Last year, Phillips introduced its GoSafe mobile service, which gives users the same protections wherever they might be. The waterproof pendant can automatically detect if a person has fallen, and the response center then calls to check on the user if she doesn't press the Help button. Philips says it uses six means of determining the individual's location, should assistance be needed. Christopher DeHaven, who uses a wheelchair due to a rare neurodegenerative disorder, had a basic pendant that worked around his home until two months ago. Then he upgraded to a pendant with built-in GPS, the Splash from Philips' rival GreatCall. "I wanted to be able to do the things that I missed, getting out with friends and family, going places," said DeHaven, 44, who lives in rural Blanchard, Oklahoma. "I didn't want to be tied to the house." The device also enables DeHaven's niece to track his location and movements remotely if he doesn't answer his cellphone. Other providers include LifeStation, Medical Alert, MobileHelp, ADT Medical Alert, Medical Guardian, Bay Alarm Medical and Life Alert, which runs those "I've fallen and I can't get up" ads. 1. CHOOSE THE KEY FEATURES. If the person needing the device never goes out alone, an inexpensive home-and-yard system may be sufficient. If she leaves home regularly, consider a pendant, wristband or cellphone with GPS tracking. Decide whether a pendant or wristband would be more comfortable and whether someone with a disability, such as a stroke patient, could easily use the device or smartphone. Monthly fees for such services run from about $20 for a bare-bones pendant or wristband to around $55 for one with GPS and fall detection. Some companies provide the pendant or wristband for free, while others charge a one-time fee of up to $150. 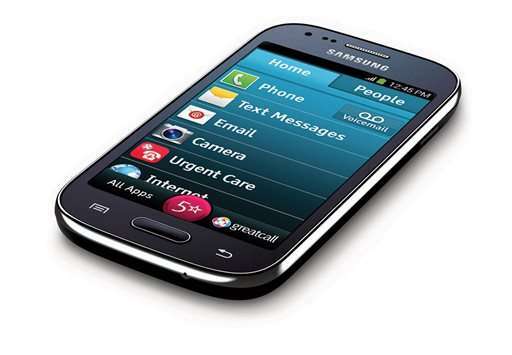 Phone options include a basic cellphone with a prominent emergency button amid extra-large number keys, and a smartphone with the emergency icon on the home screen. Companies charge about $40 to $90 per month for those services, on top of $100 to $200 upfront for the cellphone. For people who have their own smartphone, some companies offer emergency help apps for the home screen for about $15 per month. There may be additional, one-time fees: $50 to $100 to activate the service and up to $90 to cancel it. Some companies don't list prices on their websites, so be prepared to call to enquire. Many companies don't require contracts, or they only run for 30 to 90 days. Ask what's required, including billing terms. Some companies bill customers in advance for an entire year. 4. DETERMINE IF COVERAGE IS ADEQUATE. Reliability is crucial. Before you commit, make sure cellphone coverage in your area is strong enough to service any medical alert device or smartphone. If the service runs off a home landline, check for adequate range. Typically the devices work well up to 600 feet from the base unit. Be sure that covers the entire home and any usual path, such as to the end of the driveway. 5. ASK ABOUT A GUARANTEE. Ask about product guarantees, whether there's a 30-day return policy and whether any discounts are available, such as for AARP members and veterans. You'll need a quick, reliable way for police or EMTs to enter your home. If you have a security alarm, you'll give the response center the code for it. Another common approach is to set up a lockbox near the door and give the service the code to open it. Lastly, read the fine print before signing anything.